Dr. Hamilton is Assistant Professor of Pediatrics, Division of Gastroenterology, Liver, and Nutrition at the Children’s Hospital of Philadelphia. She has a long-standing interest in examining the physiological and pathophysiological processes of the intestine and colon. Her laboratory focuses on elucidating novel paradigms of post-transcriptional regulation of intestinal diseases, inculding inflammatory bowel disease (IBD) and colorectal cancer. As part of her research program, she is interested in pushing the boundaries of using patient-derived 3D cultures to evaluate new mechanisms underlying pediatric and adult IBD. In addition to her scientific endeavors, she is committed to fostering diversity and inclusion in biomedical research (and beyond). Outside of lab, she enjoys hiking, biking, and exploring the beautiful city of Philadelphia with her family. Patrick was born and raised in Philadelphia, PA. He earned a B.S. in Biological Sciences and History and Philosophy of Science at the University of Pittsburgh and my PhD in Molecular, Cellular Biology, and Genetics at the Drexel University College of Medicine. In his spare time he enjoys hiking, swimming, biking, and running. Louis was born in New York and raised in Puerto Rico, where he earned his B.S. in Molecular and Cellular Biology. He is currently a second year Cancer Biology PhD student at the University of Pennsylvania. Some of his research interests include understanding the role that RNA binding proteins play in the development and progression of colorectal cancer. In his free time, Louis enjoys cooking, listening to music, drinking beer, and biking. Gabrielle is a student at Trinity University in San Antonio, Texas. 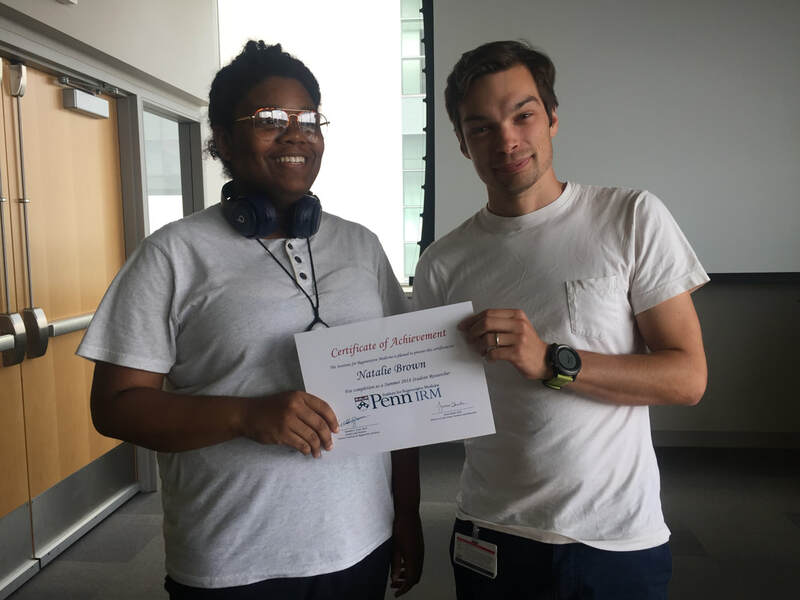 She joined the Hamilton lab for summer, 2018, as part of the Penn GI DIvision's NIH/NIDDK R25-funded Undergraduate Student Scholars Program. She is currently a junior and hopes to pursue a dual degree (MD/PhD) in the future. Lauren is from a small town in south New Jersey and graduated from Rutgers University in 2015 with a B.S in Biochemistry. Since graduating, Lauren worked as a research technician at UPenn before joining the Hamilton lab at CHOP. In her spare time, she enjoys binge-watching Netflix shows, relaxing at the beach, reading, and spending time with her family and friends. Maiah was born and raised in northern Maryland. She received a B.A. in Biological Sciences at Rutgers University in 2017. Maiah works with the Hamilton and Kelsen labs to study cellular defects in VEO-IBD. In her free time, she is usually asleep or eating. Xianghui was born and raised in Henan province in China. He earned his B.S. and Masters in Animal Science (beef cattle) and then earned his Ph.D. in Biological Chemistry (skin biology-mouse and human samples) at China Agricultural University in Beijing. After graduating, he got a postdoctoral position at University of California, Irvine, working on psoriatic skin research before joining the Hamilton lab at CHOP. In his spare time he enjoys hiking, cooking, reading and playing pingpong. Rithika grew up in New Delhi, India and completed her B.E. in Biotechnology from VIT University. She loves exploring new places to eat and dancing. Laura is originally from western New York. She received her bachelor’s degree in Biochemistry from Case Western Reserve University in Cleveland, OH and earned her PhD in neuroscience from the University of Pennsylvania. Her research interests include the genetic dysregulation that occurs during chronic inflammation and the effect of monogenic and digenic mutations on inflammatory pathways. In her free time, she enjoys baking and playing board games. 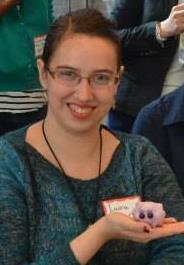 Laura is currently a postdoctoral fellow focusing on genetic defects in pediatric neurodegenerative disease at CHOP. Michael is a PA native completing his undergraduate degree from Johns Hopkins University. He spent the summer in the Hamilton lab as part of the Penn GI Division's NIH/NIDDK R25-funded Undergraduate Student Scholars Program. He plans to attend medical school starting in 2019. In his spare time, Michael designs and builds 3D puzzles (think complex Rubix cubes) and is interested in the therapeutic aspects of 3D puzzles for children. Natalie Brown lives in Philadelphia, PA and is a senior at Philadelphia Girls High School. She joined the Hamilton lab in the summer of 2018 as part of the Penn Institute for Regenerative Medicine's Research Outreach Program, under Patrick Williams' mentorship. Natalie enjoys listening to music.